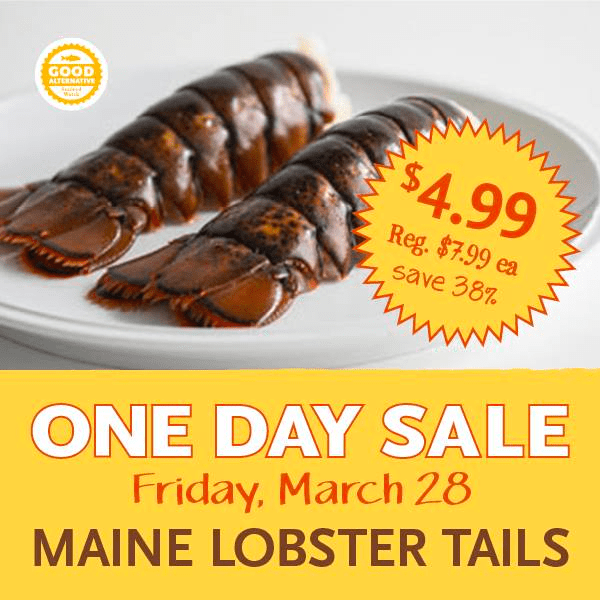 Whole Foods will be offering lobster tails for just $4.99/ea on Friday March 28th only, at all US Whole Foods Market locations. This is a 38% discount off their regular price & would make for a nice special dinner this weekend. If you’re looking for a recipe to try with the lobster tails, check out this recipe for Herb-Roasted Lobster and Steak. Be sure to check out our post on more ways to save while shopping Whole Foods too.